One of Google’s Chrome OS software engineers, Bill Richardson, posted a photo of the Pixel running Linux Mint on Google Plus. Along with the photo, he also included step-by-step instructions on how to install the operating system. To do so, you need to enter developer mode on the Chromebook by holding Esc + Refresh and pressing the power button. On developer mode, you can boot a copy of Linux Mint or Ubuntu from an SD card or a USB stick. 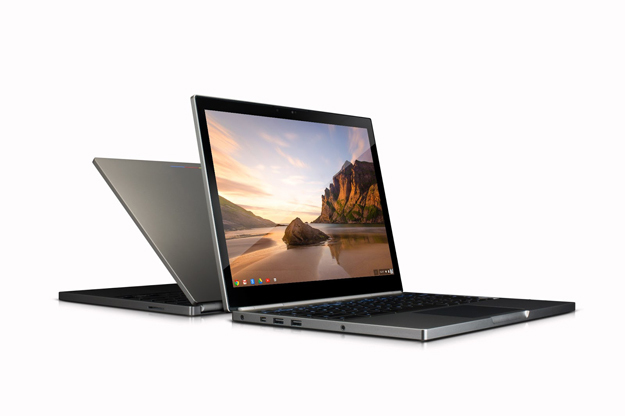 Geek.com warns that if you choose to use the Chromebook with an OS you install, you will be stuck using developer mode, which usually means waiting for the laptop to boot up for around 30 seconds every time. That’s not too bad if you want to use anything other than Chrome OS; but, then again, you can always get a cheaper laptop to run whatever OS you want – or for the Pixel’s price point, even a MacBook Pro.